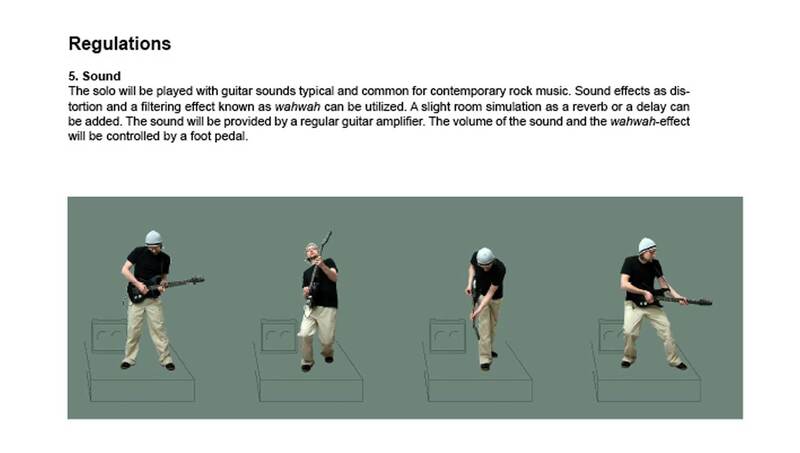 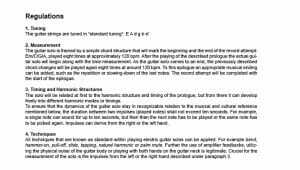 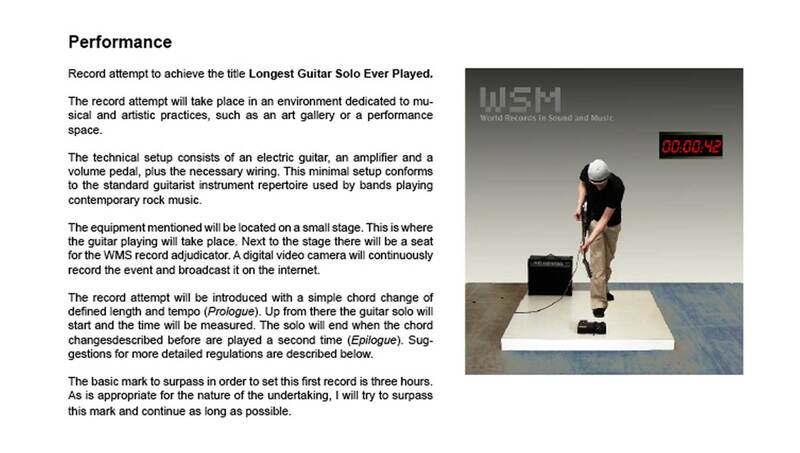 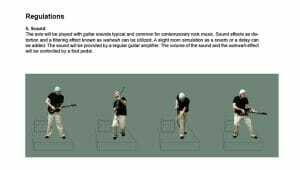 The piece describes the effort to play “The Longest Guitar Solo Ever Played” and herewith break the world record in this category. 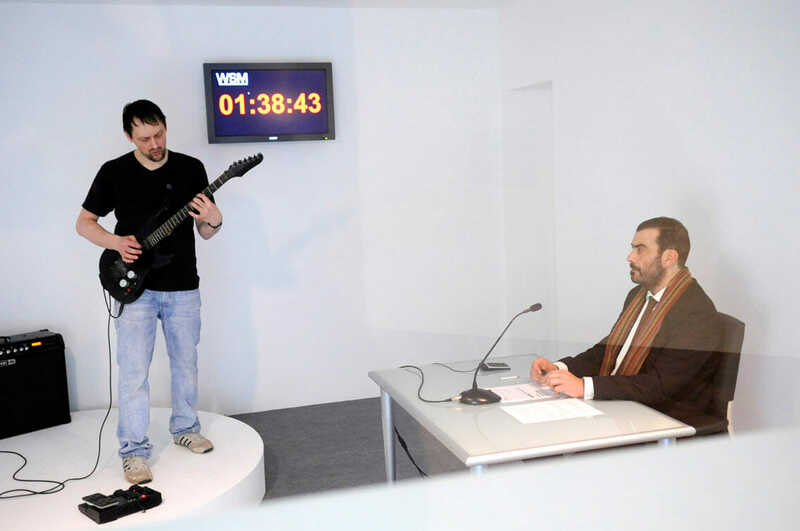 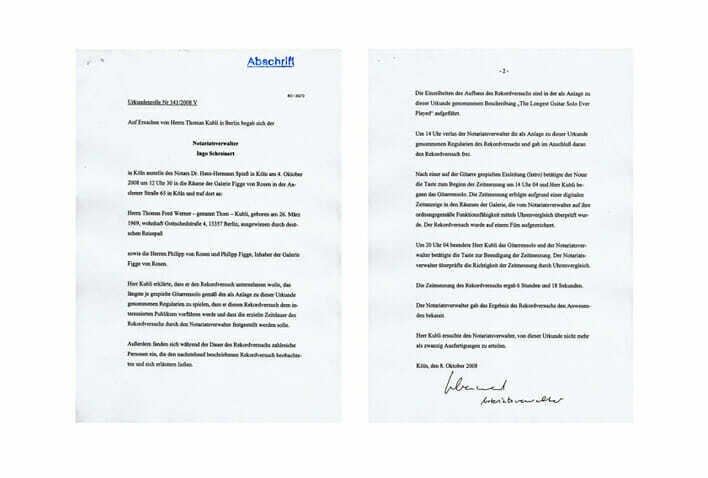 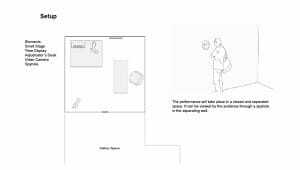 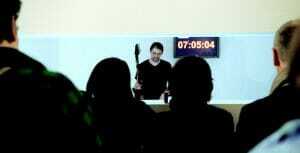 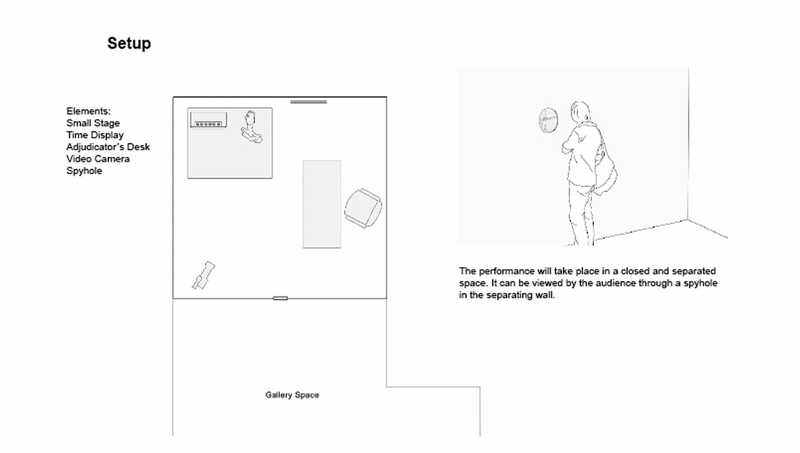 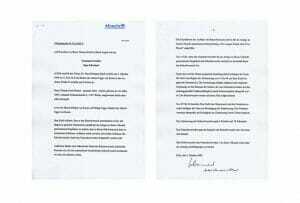 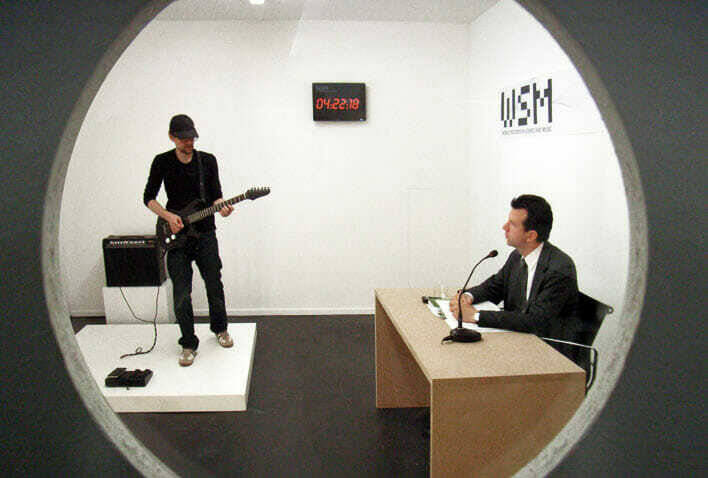 The attempt takes place in a closed space where the performer and an official notary are situated. 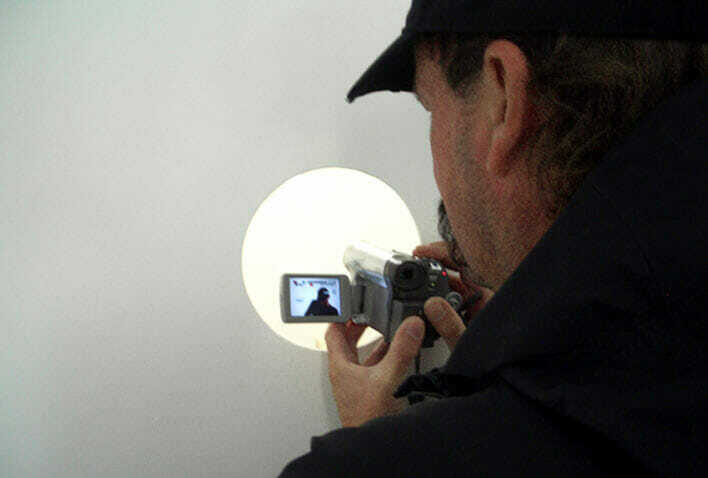 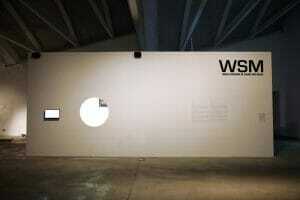 Visitors of the venue can follow the ongoing action through a spy hole in the wall. 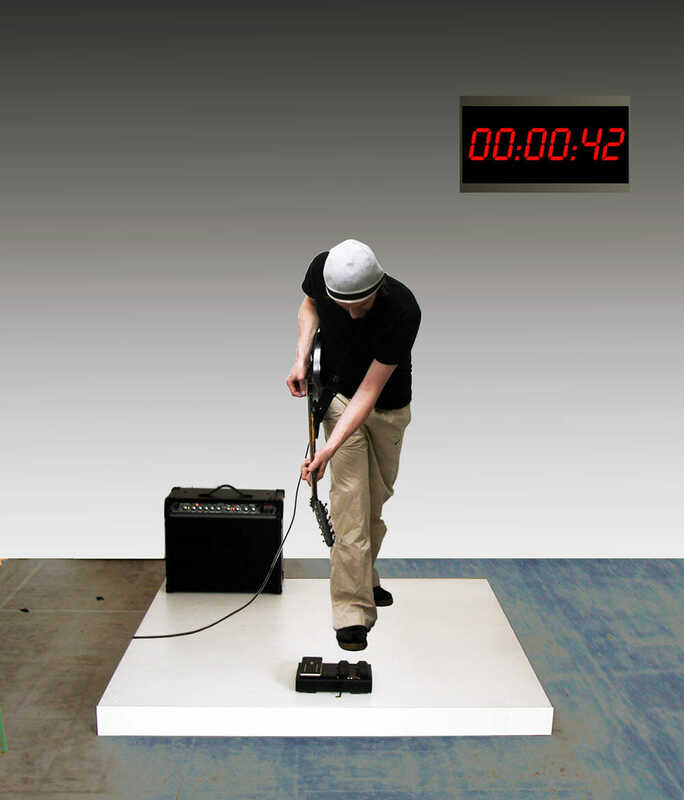 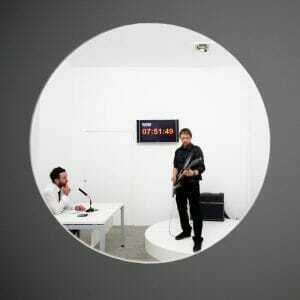 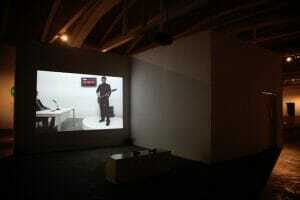 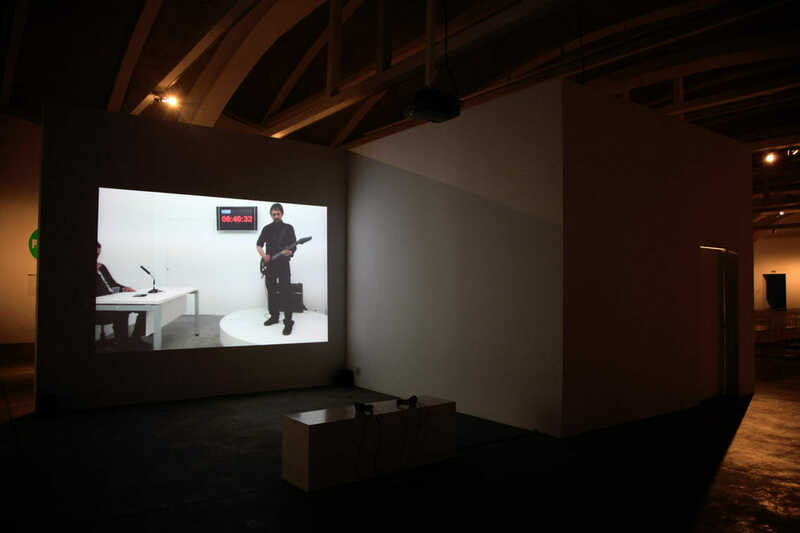 The setup within the space consists of a small stage, an amplifier, a guitar, an office desk and a time display. 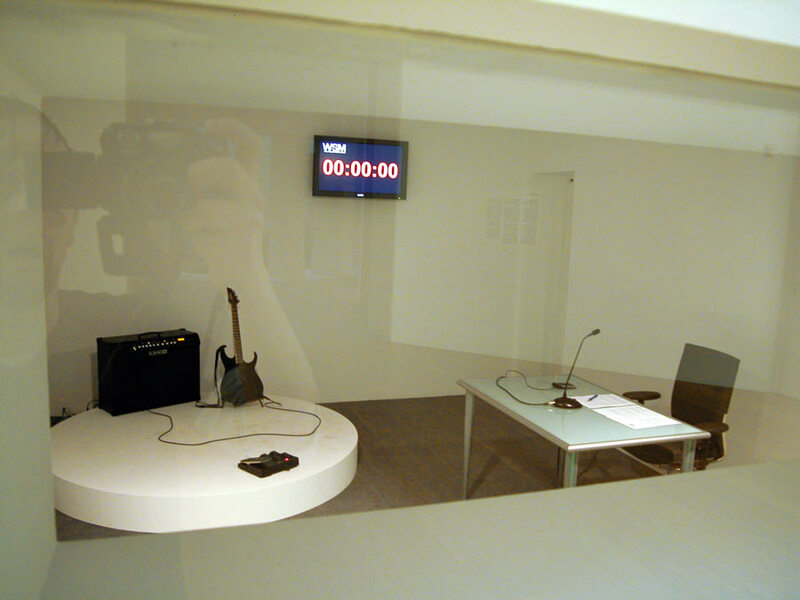 A video camera is positioned in the room to stream the performance live over the internet. 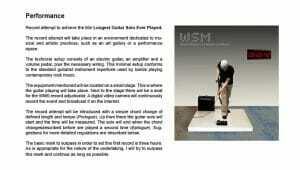 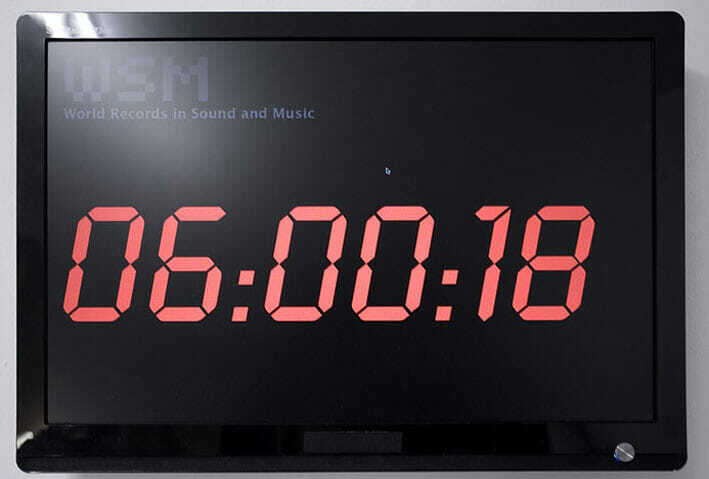 The attempt to reach and break the world record is hosted by WSM – World Records In Sound and Music, an agency dedicated to the measuring of contemporary sound phenomena. 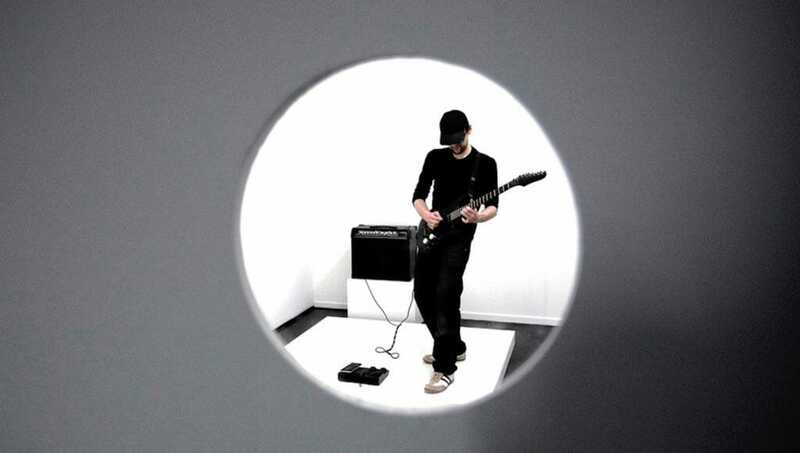 The work consists of a series of attempts to accordingly break and outplay the record as far as possible. 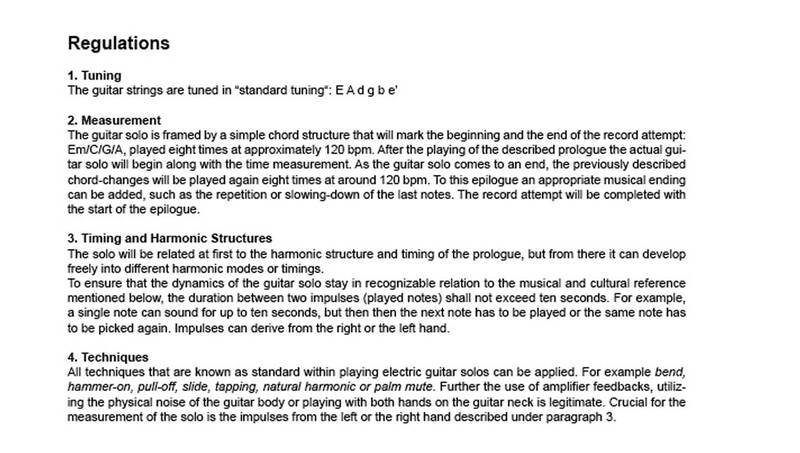 The actual record constitutes 17h21min.